Question: Should the proposed 20-year franchise agreement replace the current 1889 five-year franchise agreement? As the leading voice of business, the Peoria Area Chamber of Commerce surveyed Chamber members for their input regarding the proposed City of Peoria's 20-year franchise agreement with Illinois American Water Company. Based on the survey responses, 65% of respondents do not support the proposed 20-year franchise agreement and 35% of respondents support the proposed 20-year agreement. Based on the comments received, many people who do not support the proposed agreement believe the 20-year time frame is too long of a term for the agreement. Some respondents feel the current five-year agreement offers a 'control' mechanism to keep pricing affordable and competitive. One respondent who supports the proposed agreement believes the 20-year agreement gives the City of Peoria better planning capabilities for the long-term. The feedback suggests that Chamber members appreciated the opportunity to voice their opinion. Many comments suggest that more information and due diligence is needed about the proposed franchise agreement. 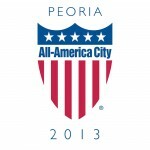 As of today, April 24, 2014, the proposed agreement is still under review and there may be revisions to the agreement before the Peoria City Council votes on the agreement. The Peoria Area Chamber of Commerce plans to share updated information as it becomes available, including the amended franchise agreement after it is released. If you have any questions, please contact the Peoria Area Chamber of Commerce at 309-495-5900.